Ascending Butterfly: Tuesday, September 29, 2009 - Today's Words of Inspiration and TWO giveaways! Tuesday, September 29, 2009 - Today's Words of Inspiration and TWO giveaways! Which of these two are you celebrating? Today there are two celebrations on the calendar. a) A Christian feast observed in honor of the archangel Michael. b) September 29, the day on which this feast is observed. Michael (according to Wikipedia) - is an archangel in Jewish, Christian and Islamic tradition. He is viewed as the field commander of the Army of God. He is mentioned by name in the Book of Daniel, the Book of Jude and the Book of Revelation. In the book of Daniel, Michael appears as "one of the chief princes" who in Daniel's vision comes to the angel Gabriel's aid in his contest with the angel of Persia (Dobiel), and is also described there as the advocate of Israel and "great prince who stands up for the children of your [Daniel's] people". The Talmudic tradition rendered Michael's name as meaning "who is like El? ", - so Michael could consequently mean "One who is like God." But its being a question is alternatively understood as a rhetorical question, implying that no one is like God. Much of the late Midrashic detail about Michael was transmitted to Christianity through the Book of Enoch, whence it was taken up and further elaborated. In late medieval Christianity, Michael, together with Saint George, became the patron saint of chivalry, and of the first chivalric order of France, the Order of Saint Michael of 1469. In the British honours system, a chivalric order founded in 1818 is also named for these two saints, the Order of St Michael and St George. St Michael is also considered in many Christian circles as the patron saint of the warrior. Police officers and soldiers, particularly paratroopers and fighter pilots, regard him as their patron. He is also a patron of Germany and of the City of Brussels. Roman Catholics refer to him as Saint Michael the Archangel and also simply as Saint Michael. Orthodox Christians refer to him as the Taxiarch Archangel Michael or simply Archangel Michael. The New Thought Movement refers to Michael as Christ Michael. Confucius Day honors one of the world's greatest philosophers. Born in China on October 18, 551 B.C., Confucius is one of the earliest, and perhaps the the first great philosopher. He was also a teacher, a scholar, and a politician. He gave the world many teachings, and gave the world 499 famous sayings. Celebrate Confucius Day by learning more about this ancient philosopher, and read some of his teachings and sayings. Note: Over the years, many comical and humorous sayings have been created and referenced as sayings of Confucius, usually titled "Confucius Says". As a rule of thumb, if the saying is humorous, chances are it is not a true saying by this great scholar. Will you be celebrating Michaelmas or Confucius Day? What is your favorite Confucius saying? NOTE: Readers have asked us to make entering the contests and giveaways, faster and easier. Your wish is our command! We have moved our 'Today's Butterfly - Featured Site(s) of the day, which is where we host our giveaways, to the upper right hand side of the page. It will be located here from now on to make entering the giveaways faster and easier. 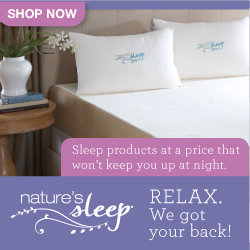 There is a new giveaway for a Select Comfort Mattress Topper! NOTE 2: Twitter followers: please remember you must also follow Ascending Butterfly using Google friends connect on the upper right hand side of the page for your entries to be processed. And you also must include your email in your comment entry, we have to have a way to reach you if you win! had no idee ole confucius was so damn old, seem like just last week he was on the johnny carson show with ole ed. and st. mike, thought he got kicked outta the church. hmmmmm maybe it was that other saint guy. Why Plainolebob, is it true? Has my lil ole blog finally arrived? So very happy to see you here! Looking forward to 'hearing' more from you! :-) - Start entering some giveaways already!